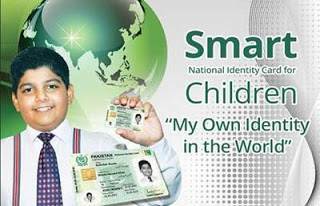 Home / CNIC / NADRA / Tips / How to get CNIC Identity Card for Children under the age of 18 years? 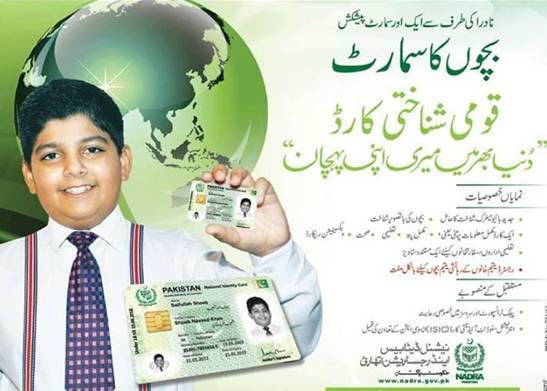 How to get CNIC Identity Card for Children under the age of 18 years? NADRA issues Juvenile Card as an identity card for children under the age of 18 years. It is a chip based smart identity card with many features. It is distinguished from Child Registration Certificate (CRC) or Form-B. Child’s parents or blood relative holding a valid National Identity Card (CNIC) is required to be physically present for providing the bio-metrics. Juvenile Card has many features i.e. advanced bio-metric identity for Children; Child’s Photo, complete address, education details, health and vaccination record etc which will be helpful in educational institutes and embassies of different countries. This card may be required for visa applications to other countries. How to get Juvenile ID Card for your Children? You can apply for your Juvenile Card (JV) by visiting any NADRA Registration Center (NRC). You have to visit any NADRA Registration Center (NRC) to apply for this Juvenile ID Card as the online application facility is not available for it. Get token from the counter. Your photograph will be captured. Fingerprints and signature will be taken. A printed form, containing requisite data about the child and his family, will be handed over to you for review and attestation. Submit this form to NADRA center after attestation. You will get your card within 30 days (for normal), 15 days (for urgent) and 7 days (for fast track). Any one original document Child Registration Certificate (CRC)/ matric certificate/ mark sheet/ domicile/ passport of children or presence and attestation/ verification of any one blood relative(s) (preferably Father).